When first starting competing in pageants, I had no idea that each system had a different purpose. Yes, I said “Purpose”. Women who compete in the Miss America and Miss USA system seem to gravitate toward TV careers, Galaxy and International winners seem to gravitate toward a modeling career and then there is Today's American Woman Pageants, (Voted "Top 10 Ms Pageant for 2015" by The Pageant Planet) ..an "ALL inclusive pageant of ALL women of ALL ages ALL sizes ALL abilities using the crown to shine a light on what is important to us!" This will be my 11th year competing in pageants. I have competed TONS of systems in my career. Pageants have been a blessing and sometimes a curse. 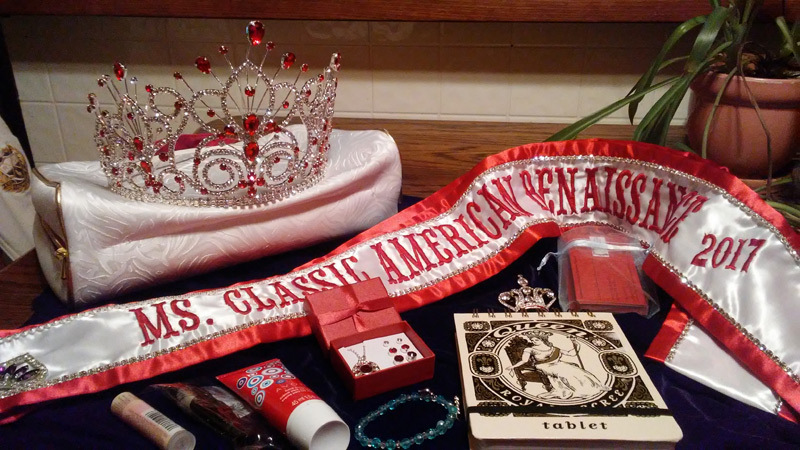 I have come up with some things to look for when deciding on a pageant system to help weed out incompatible systems and find the right one for you. Finding the perfect pageant system is easy with a little targeted research. To begin, go to the website of the pageant you are interested in applying to. Look for a pageant overview or summary. It should give you an idea if you need to read on or move ahead in your research. It is important to find a system that matches your talents, skills and goals. I advise reading the entire website and looking over everything you find. This is a large investment in time and money and you want to find the best one for you. If you don’t find enough information on the website, e-mail the director and ask question…LOTS of questions! Specifically, check out the areas of competition and the criteria for each one. Take care to look into each area of competition and see what each one asks for. Do they have a ‘Swimsuit’ category? Are you comfortable with that or would you rather compete in ‘Glamwear’ or’ Aerobic Wear’? Also look at the percentages of each category. I tend to do better when interview counts 50%, as it is the area of competition I enjoy the most and excel at. Specifically, find a system where your strengths are scored high and then work on the rest. Rules & regulations are a very important thing to carefully look over. There are residence requirements, age, marital status, and many times much more. Read the agreement very carefully and be sure that you are in compliance with each one, or you could lose your crown if you win. For instance, many systems frown on posting questionable photos on the internet or not making required appearances. Be careful to be sure you can fulfill all of the system requirements before applying. Finally, contact former contestants that did not win and see what they thought about the pageant. They will give you a better overall picture of the system and the people involved. One thing to look for, do they have a high return rate? If so, you can bet there is a good reason for it! You could also contact former queens and see how their reign went. Many will be happy to give a great referral or will steer you in a better direction. It may take some time to find the system where you simply "fit" so Don't Give Up! There are LOTS of pageant systems for a variety of different goals.... so go do your homework and find your perfect pageant! Check out www.todaysamericanwoman.com My personal favorite! Promoting your title is tantamount to a successful reign. Whether you are a City, State or National Queen, is is crucial to get yourself as well as your platform and pageant system information to as many people as possible. Today, marketing online is a fantastic way to quickly get your message to a large audience. Following are several avenues that a pageant queen can use to market a title and the majority of them are FREE. A Personal Website- There are many avenues to get a personal website. You can hire a web design company like my company, Nicole Miller Marketing, or use many of the free sites that are available. The bottom line is, the more PR you have out there, the more sponsors and supporters you can reach. Be sure to list your sponsors, supporters and causes! Google+ - Show the world who you are and what you’re passionate about. Choose a beautiful cover photo, share some fun facts, or even add some bragging rights. With the Google+ Circles, it is easy to share the right things with the right people, just like in real life. 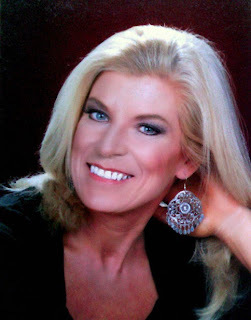 I was also a special guest on her international radio show several times and it truly helped my platform as well as my business to promote in that avenue. These are only a few of the places you can use to promote your title! Using the Google search engine, you can find LOTS more and start promoting yourself! You CAN NOT promote yourself too much, but be careful when promoting. Always consider where you are promoting and what you put out there about yourself. For instance, steer clear of places that may be questionable regarding your reputation. Once you put something that could be viewed an 'inappropriate', you can’t take it back! Judges are always watching you whether you know it or not, so be careful and have FUN promoting your pageant title!